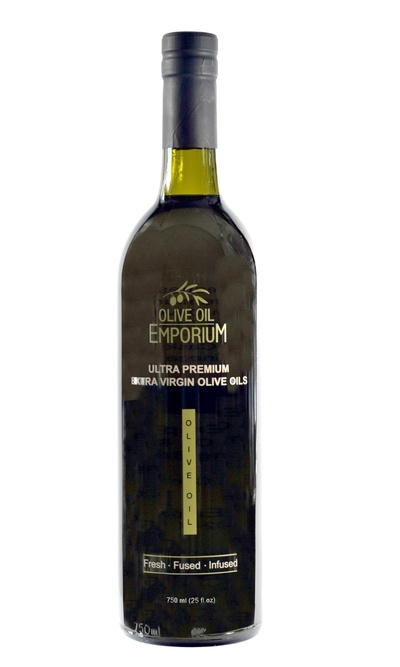 Description: A classic oil and vinegar duo made with a classic Ultra Premium certified Extra Virgin Olive Oil and our Traditional Balsamic. An elegant stainless steel dispenser by Sansone form Italy is also included. An elegant presentation and most thoughtful gift. Other oils and vinegars may be substituted. *Fused oils (Baklouti Chili, Lemon, Blood Orange), and the Persian Lime are subject to a surcharge. 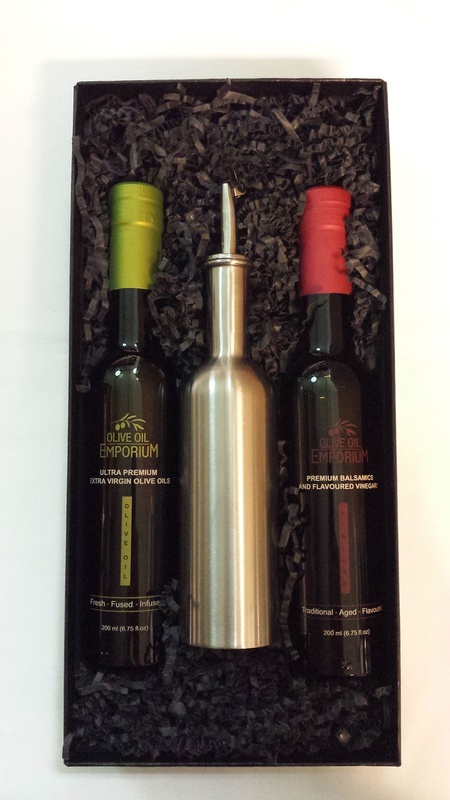 Tasting Profile / Serving Suggestions: Enhance your dishes with the delicate flavours offered in this deluxe gift set. A very versatile and enjoyable olive oil and balsamic vinegar condiment pair! Use the elegant dispenser for your oil to impress your guest at the dinner table.